One of the special days in the New England sports calendar came once again with the 116th running of the Boston Marathon and the annual Red Sox morning game on this Patriots’ Day. This year we also get a special treat as the Bruins play game three of their opening round Stanley Cup playoff series against the Capitals later this evening. Patriots’ Day is a civic holiday in the commonwealth of Massachusetts commemorating the anniversary of the Battles of Lexington and Concord, the first battles of the Revolutionary War. Since 1969 it has been observed on the third Monday of April, and prior to that it had been designated as April 19th. Ever since 1959 the Red Sox have been scheduled to play at home on Patriots’ Day, and beginning with the 1968 season the game has been scheduled to start in the morning, resulting with the game ending as the Marathon heads through Kenmore Square. The Boston Marathon is the world’s oldest annual marathon, one of the best known road races, and one of the five World Marathon Majors, so it is kind of a big deal to the running community. 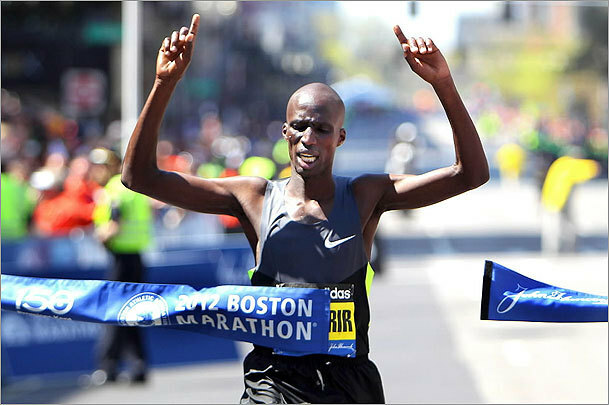 Winner Wesley Korir of Kenya breaks the tape of the 116th Boston Marathon. This year’s Boston Marathon was impacted by unseasonably warm temperatures (they rose into the 80s as the race went on) and resulted in the slowest winning times for both the men’s and women’s races since 1985. In honor of the race I went out and ran a 10k and let me tell you it was miserable. Not surprisingly the winners of each race hailed from the same country, Kenya, which historically has a strong presence with this marathon. Wesley Korir won the men’s race with a time of 2:12:40 (2 hours, 12 minutes, 40 seconds)becoming the 19th Kenyan men’s winner in 22 years (with two other Kenyans rounding out the top 3 places). On the women’s side Sharon Cherop took the victory after out-sprinting fellow Kenyan Jemima Jelagat Sumgong to finish with an unofficial time of 2:31:50, and another Kenyan woman again rounded out the top 3 of that race. One record did fall this afternoon during the race. 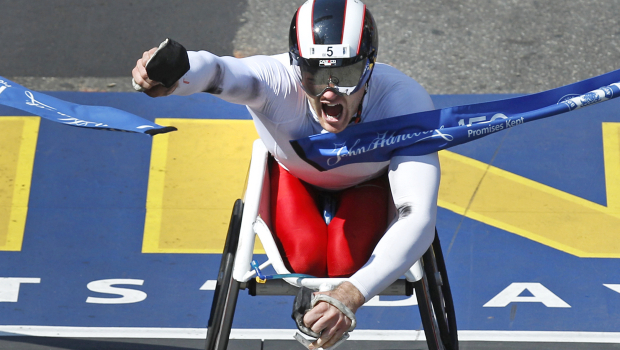 Wheelchair race winner Joshua Cassidy of Toronto, Canada was apparently unaffected by the heat and set a world record time of 1:18:25 for the 26.2 mile course. He beat the previous world record by 2 seconds and as he reached the finish line he pumped his fist and yelled, fitting for a champion of a race of such importance. Joshua Cassidy of Toronto managed to set a world record despite the heat. Unfortunately, The Red Sox did not have as great a day as Mr. Cassidy. It was a tough day at the plate for the Sox as they were only able to muster 4 hits off of Rays starter James Shields over 8 1/3 innings and were unable to push across a run as they lost 1-0. This game was a pitcher’s duel all the way through and the Rays were finally able to score the lone run of the game in the top of the 7th inning, taking advantage of a loss of control from Sox pitcher Daniel Bard. Bard, a relief pitcher who is currently trying to earn a spot in the Sox starting rotation, pitched sixed very strong innings before he ran into trouble in the 7th. After getting two quick outs in the 7th, Bard walked Sean Rodriguez on a full count pitch, gave up a single to Desmond Jennings, and then with the next 8 consecutive pitches walked Carlos Pena and Evan Longoria to force in a run. The Sox were unable to get the equalizer with their next nine outs and that was the ballgame. Bard finished with a line of 6 2/3 innings, 4 hits, one earned run, 7 walks and 7 strikeouts, and with the exception of the one bad inning actually looked pretty impressive on the day. Red Sox hitters have only scored 1 run so far this year in the 11+ innings that Bard has thrown on the season which is pretty pitiful. 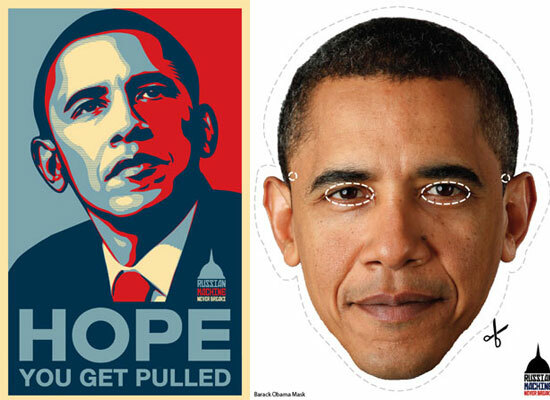 Capital fans are urged to taunt Tim Thomas with Obama masks,relating to his decision to skip the White House visit for winning the 2011 Stanley Cup. Hopefully the Bruins will have better luck tonight in Washington. That series is tied 1 game apiece after a Nicklas Backstrom wrist shot beat Bruins goaltender Tim Thomas in double-overtime on Saturday afternoon. Each time has only scored one goal through the first 7 full periods and the opening minutes of two other overtime sessions, so expect another low-scoring defensive hockey game tonight. There is an old saying that a series doesn’t truly begin until a road team wins a game, and with the Capitals doing just that on Saturday afternoon the Bruins will need to steal one in Washington to have a chance to defend their cup. Should be another excellent game, so tune in at 7:30 PM nationally on NBC Sports Network or if you are in the Boston area listen to Jack Edwards call the game on NESN. This entry was posted in General and tagged Boston, Boston Marathon, Bruins, Kenya, Obama, Patriots Day, Red Sox. Bookmark the permalink.